A man who admitted responsibility for a spate of fires in Dumfries earlier this year has escaped a jail sentence. Andrew Nicol, 26, pled guilty to three counts of wilful fire-raising - including one at a petrol station - two of malicious damage and an assault. Dumfries Sheriff Court heard Nicol went "off the rails" when he stopped taking medication for depression. Sheriff Brian Mohan ordered him to be under supervision for 18 months and carry out 270 hours of unpaid work. He said there would be a review in August. Nicol admitted setting fire to a fuel pump and a storage cage containing gas canisters at the Jet forecourt at Border Cars on Terregles Street in January. The court heard that the flames caused some damage but they failed to take hold. 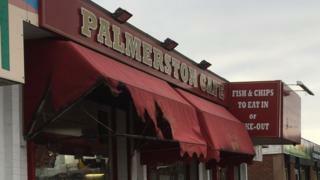 He also set fire to an overhead canopy at the Palmerston Cafe in nearby Glasgow Street and was also responsible for starting a blaze in a car outside the Benvenuto restaurant on Eastfield Road. He admitted smashing a window at Benvenuto and the window of a car. And he pled guilty to assaulting a man by punching him on the head in Poplar Road on Boxing Day. After reviewing background reports, Sheriff Mohan said he felt Nicol's behaviour was not typical and he was prepared to give him a chance through a community sentence.